Just a few days ago an article on my Twitter feed caught my attention when I saw the name of Samia Shahid (her first name same as mine); it was the news that hit me right in the heart for many reasons. The so called ‘honor killing’ has swallowed many innocent lives and it was the causes of her unfortunate demise as well. Samia was a UK citizen from Bradford and was raped and strangled to death by her ex-husband with the help of her own father in Pakistan. As a young girl I witnessed my best friend Saira from primary school in Pakistan who was shot dead by her own father, brings back all those memories when a woman is killed in the name of honor. A woman is born to protect the honor of the family, and if she does not, she is either disowned if she is lucky to escape alive or she gets killed. She would have been my age 24 today, had she been alive. I still vividly remember her pale and exhausted face when she was on her deathbed fighting for her life, her stomach riddled with bullets and she warned us girls one last time to be “careful”. We all understood what she was actually implying. She had a light, painful smile on her face when her mother was brushing her hair with fingers. She said ‘you will all be together but I will never be able to join you again’. I started screaming, her mother was sobbing continuously, knowing her daughter will not make it, yet she did not give up on praying and asking for miracles. Those last few words still haunt me even after more than a decade. Being a girl born in a typical patriarchal society hardly has the fundamental freedom of living on her own terms. From the day a girl is born, she is told that she ‘belongs to others’, whilst the boys are told how superior they are and they will carry the family name forward. However, when a girl grows up especially in an open society like Britain, or other western countries, she simply thinks of living as the rest of her school, college or university friends. She does not want to be the odd one in the crowd, she studies and opens up her mind as compared to the parents’ who were brought up in rural settings back-home in Pakistan, Bangladesh, India or some other developing country. Having come from religious Muslim backgrounds or mostly from conservative and traditional ones, the openness of girl is considered immoral not just by the family members but by almost everyone from the same community. She is expected to remain quiet, be as conventional and religious as possible and live by the terms her family or community believe are the the ‘right’ ones. She is simply living someone else’s life as if she is not part of the society or an alien from another planet. We, girls are married off at the first convenience our parents or grandparents find and not all these are happy marriages. Forced marriages are different than the traditional or arranged marriages in which both sides of the potential bride and groom get together and choose the couple for each other with their permission. Forced marriage occurs when both or one party is being forced to marry against his/her wishes. There are well documented cases that prove many girls refusing to marry someone leads to her being butchered in the name of the so called ‘honor’. In some cases, when a girl is born, she is ’given’ by her parents to someone of their choosing, in most cases a first cousin. They usually try to mend their broken relationships by forcing their children into forced marriages. Esther Morris, from Bedfordshire Police Forced Marriage Unit, told me “absolutely, refusing forced marriages can lead to honor based killings”, mentioning Samia Shahid. She was forced into a marriage, ended up getting divorced and later married a man she loved. She was killed by her own family for dishonoring the family. “Look at Banaz Mehmod and Shafilea Ahmed, they refused to be either forced into marriage or wanting to get out of marriage”. Banaz Mehmod’s grieving boyfriend was found hanged 10 years later after her murder. Shafilea Ahmed was 17, when she was forced into a marriage with a cousin a lot older than her back in Pakistan and Shafilea was born and bred in the UK. She refused the proposal and found a love that was not acceptable to her parents. Her father thought she would bring shame on the family, so he decided to kill her and dumped her body. Both parents shed crocodile tears for years in front of the media and said their daughter has been missing. It was after years when her younger sister came forward to the police that Shafilea was strangled to death by her own father. Shafilea is just one of the hundred and perhaps thousands of stories of women getting killed in the name of honor, here in the UK and around the world. There are some young, smart and beautiful girls who have become victims of forced marriages, some have taken brave unprecedented steps to get out safely from the situation with the help of court and police. However, some have given up to the threats and emotional blackmailing of parents and are living a miserable life. Aliya (not her real name) told me “I took every step to save myself from the guy I was engaged to when I was a child, I even had the heart to go to the police and ask for help. My dad, had beat me up frequently and verbally abused my mum. He would not eat at home; he would come late at 3 or 4 am. I did not give up, even though I felt extremely guilty that all this was happening because of me”. My mother was clearly upset and down but she has not forced me once, she wanted to say a lot but she kept quiet out of fear of my father. I stayed at home all the time and sneaked out to my friend’s home with mum’s permission when dad was out”. “However, one day when my dad was clearly not giving up, my body turned blue, I had so many bruises and dad would constantly humiliate me to apologize and rub my nose against the floor. I was shocked at this behavior of my loving father and wondered if he had ever truly loved me. 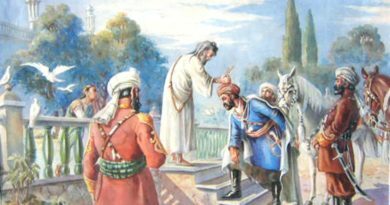 At this point his honor was more important than his daughter pleading and begging for mercy in front of him” Aliya said. Aliya got married two years ago, she was unhappy and painful in every wedding photo. She now has a child. “My husband hardly respects me; he taunts me that I must have had a boyfriend that is why I was refusing to marry him. I have to live like this, only God knows for how many years. I think no girl should ever agree to a forced marriage, look at me now, I’m suffering, I’m sacrificing but my husband is not, I wish I had never listened, my parents are not suffering, it is I and I alone.” Aliya warned us all just like Saira did. Farah (not her real name) had also given up in front of her father’s ‘killing himself’ threat. She went to Pakistan, got married and came back with her family. She was under tremendous pressure to bring her husband to the UK as soon as she could, “there is no way I wanted to bring him, he forced himself upon me on the first night of our wedding, when I clearly was exhausted, I cried and said I cannot do this, but he never listened. That was the first and last time, I pretended to be really ill and they changed my ticket and I came back to UK few weeks earlier than I had initially planned” Farah recalled her ordeal. Farah, did not have a clue about the help that was available to protect her, on her return she started researching on how to get rid of this man she never wanted to marry in the first place. She found some charities who help all victims of forced marriages. The charities assured her that they can block her husband from coming to the UK with the the help of the UK foreign office, without him ever knowing why he has been refused the visa. Charities like Karma Nirvana and others based in the UK are always there to help victims and remember those who have been brutally taken away from their loved ones. Farah did not want to let her parents know of her intentions as it would only upset her father, after years of trying. “I am finally getting divorced, I am so happy that I have contacted these authorities and they have helped me fully on every step. I want to convey it to the other girls in my situation to never make the mistake I made, just stay strong and approach anyone you can, but never agree to a marriage and your parents’ emotional drama.” She said. Esther said girls are taken out of the country when they have virtually no idea of being forced into a marriage. Parents trick them to go for a holiday and some girls just never come back, when the schools start after summer holidays, some friends then inform the police that a certain girl went for summer holiday but never returned. “if there is even a little doubt that you might be taken for a marriage, because nowadays parents do not talk in front of their kids, then we need to know as soon as possible. It will not always be a Forced Marriage Protection Order if a victim does not want it, but we will take her details, such as where she may be going and her passport number etc. In this way we set plans on how to protect them.” Esther cautioned. There have been well documented cases where women have killed themselves before the night of their weddings. 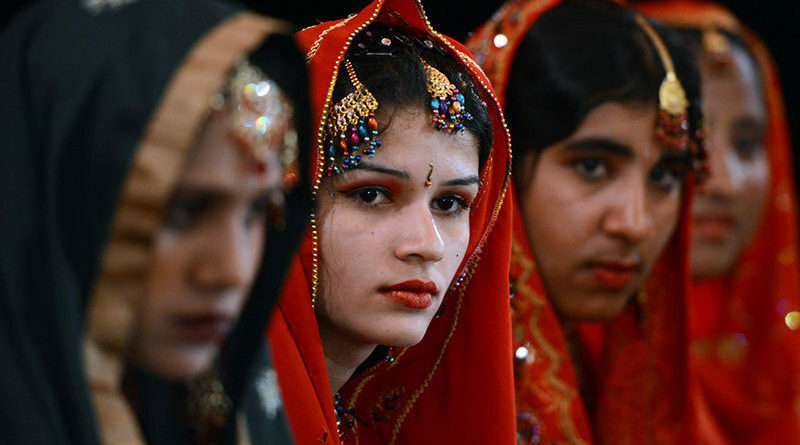 These girls were taken away and forced to marry cousins they had never met. There are hundreds of stories that end tragically and some girls are just trapped in these unwelcome relationships for life. The brutal killing of Pakistani social media icon Qandeel Baloch at the hands of her own brother is another glaring example of the menace of honor killings. According to the Human Rights Commission, nearly 1,100 women were killed in Pakistan last year by relatives who believed they had dishonored their families. Only some of the stories make it to the press, all others languish in anonymity. 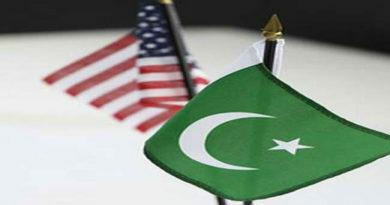 Can the US act decisively against Pakistan? Afghans or Pashtuns: Why the Fuss?